PrimaLuna’s esoteric boxes lack the bells and whistles of contemporary digital gear, and won’t be versatile enough for some, but this beaut valve gear has a sound worth suffering for. PrimaLuna isn’t a new brand in NZ but following small scale distribution in the past, the brand is now in the International Dynamics stable, which means we should see them stocked by hi-fi specialists from the top of the North to bottom of the South. A great excuse to review some valve gear then. 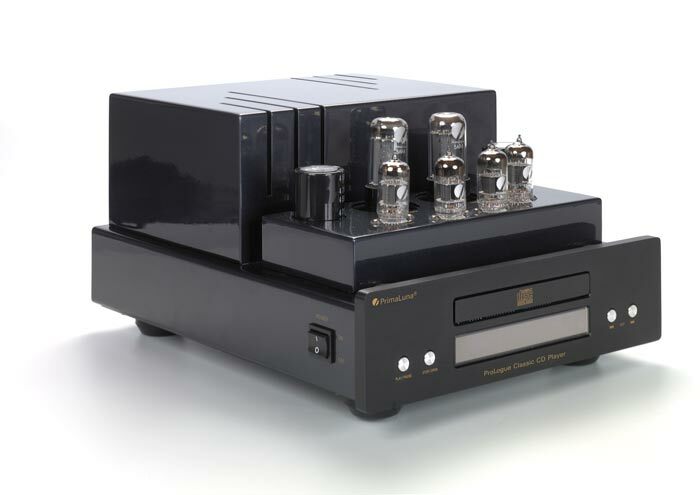 Squint a little when you look at PrimaLuna’s Prologue Classic integrated amplifier and you could be looking at a valve amp from the distant past. This is valve kit from the days of old, updated for modern times but externally, this is how it used to be done. Folded steel chassis, thick metal front plate, a couple of knobs in front with a passel of valves and transformers up top. It doesn’t matter how you squint, stare or glare at the Classic CD player because this definitely isn’t how things were done. The old timers didn’t have CD players and even today, where the valve CD player isn’t that rare, this valve amp with a CD drawer in front is an odd looking beast. Both units are beautifully finished with deep dark gloss paintwork, and no sharp edges or untidy seams. There are easily removable valve cages for those without the worry of burnt kids or singed pets. These are serious chunks of metalwork: the CD player weighs in at 12Kg and the amp at 17Kg. With a height close to 20cm, both were too tall to fit in my hi-fi rack, so I consigned them to a couple of two inch thick laminated boards on the floor. There’s not much in the way of goodies on the amp. You get 35 watts plus four line level inputs, good quality speaker cable binding posts with four and eight ohm options, but there are no preamp outs or headphone jacks and certainly none of them there newfangled fancy pants iPod connecting widgets. Poke your head under the hood and you don’t see too many circuit boards as PrimaLuna prefers to use point-to-point wiring where possible. 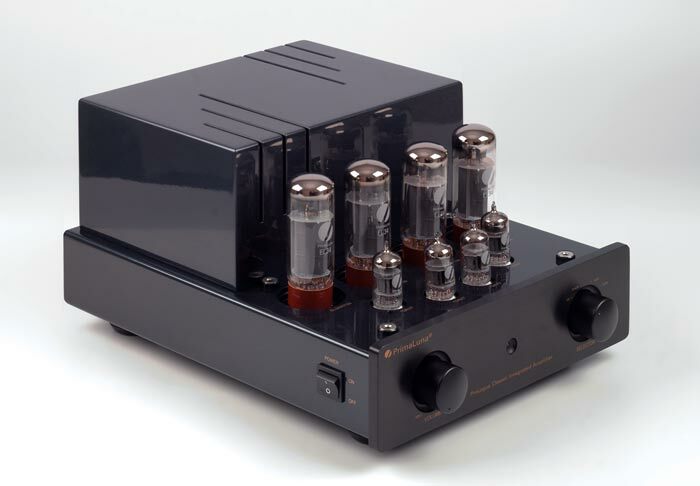 The amp does pack some modern smarts in the chassis in the form of PrimaLuna’s Adaptive Auto Bias circuit, which continually adjusts the bias of the valves. The circuit monitors the temperature, voltage and signal of each valve and then instantly adjusts as needed to get the distortion as low as possible. PrimaLuna claims that this is an ongoing and seamless process with no time intervals or sampling. So no more adjusting the bias of the valves with a multimeter, and when combined with the soft start system that gets the valves slowly fired up, this is valves without the traditional valve headaches. The Classic CD has only four buttons up front and a simple single line display. Round back you’ll find analogue, digital coax and optical outputs. It even uses a valve for clocking instead of a solid state oscillator in an effort to recreate a more analogue sound. The CD player comes with a striking beast of a remote control, a purposeful chunk of rubber bumpered heavyweight black metal. As a burglar basher, it’s second only to Plinius’ truncheons; a casual toss of this thing onto the couch will render lesser remotes uncontrolled forever, so beware. Unfortunately the remote only controls the CD player because the amp doesn’t have remote functionality and is thus as deaf to the remote’s pleading as I am to the whispered words of common sense.